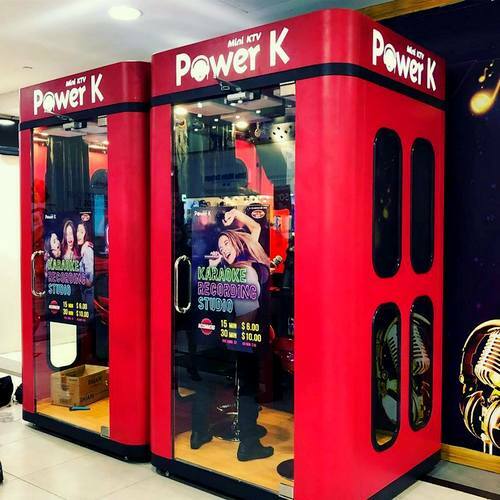 Self-service karaoke booth chain Power K – Mini KTV has nine locations in Singapore, one of which is within Liang Court mall (177 River Valley Rd). Visiting one of the self-service karaoke booths, you can sing to your heart’s desire at affordable rates. The mini private karaoke booths feature sitting capacity for two people, two microphones, two headsets, and all your favourite songs. Among the payment possibilities are Visa Paywave, Mastercard Paypass, NETS Flash pay, EZlink, Apple Pay, Samsung Pay, as well as Android Pay. You can also record your own album from the karaoke session, and then share it on social media platforms. The official Power K – Mini KTV Facebook brand page is located at www.facebook.com/PowerKTVs/. You can also follow the brand’s official Instagram account, which in turn is available at www.instagram.com/powerktv/.